Requirements classifications may be compared to a famous one mentioned by Jorge Luis Borges from a Chinese Encyclopedia, Celestial Emporium of Benevolent Knowledge , which divides animals into fourteen categories, whose rationale and purpose have unfortunately been lost. As illustrated by this example, taxonomies are symbolic tools that may serve a wide range of purposes, some practical, some speculative, some mythical. Faced with requirements capture, the purpose should be to clarify what is at stake and to identify the nature of subsequent engineering problems to be solved. Hence the search for a comprehensive, reasoned, and unequivocal taxonomy of requirements. Those that belong to the Emperor: business objectives. Embalmed ones: mothballed requirements made obsolete by changes in organizational or technical contexts. Those that are trained: additional requirements to existing applications. Suckling pigs: additional requirements to projects still under development. Mermaids: enticing requirements with no clear purpose or stakeholder. Fabulous ones: ambitious requirements waiting for a technological breakthrough or a dream team. Stray dogs: requirements with clear purpose but without identified stakeholders. Those included in the present classification. Those that tremble as if they were mad: shifting requirements that change when reviewed. Innumerable ones: growing requirements that multiply when reviewed. Those drawn with a very fine camel-hair brush: requirements expressed with a graphical modeling language. Others: requirements that cannot be expressed in terms of symbolic contents. Those that have just broken a flower vase: requirements associated with recent failures. Those that from a long way off look like flies: vexing cloud of unclassified requirements that keep coming back and forth. Business objectives (not to be confused with business requirements) that may be supported by functional requirements (1). Requirements affecting applications under development or already deployed (3,4). Requirements dealing with symbolic contents (aka Functional Requirements). Given that symbolic expressions can be reformulated, the granularity of these requirements can always be adjusted as to fall into single domains and therefore under the authority of a unique owner or stakeholder. Requirements not dealing with symbolic contents (aka Non Functional Requirements). Since they cannot be uniquely tied to symbolic flows between systems and domains, nothing can be assumed regarding the number of stakeholders. Yet, as they target systems features and behaviors, they can be associated with architecture levels: enterprise, functional, technical. That distinction makes perfect sense because, whatever their use, software systems are computing devices dedicated to the processing of symbolic representations. Given that their functionalities are not served in a vacuum but within architectures combining human agents, physical equipment, and other software systems, requirements should make a clear distinction between (1) business objectives, (2) supporting systems functionalities, (3) how those functionalities are implemented, and (4) how they are operated. Such a classification is both practical and useful. Is there a main owner or stakeholder with full authority on requirements and acceptance ? Are the requirements about specific contents of symbolic flows between system and context ? Are the requirements associated to system supporting functionalities ? Are the requirements and their acceptance directly associated with user experience ? Useful because it supports the separation of concerns and responsibilities and indicates where and how requirements should be managed: portfolio (business objectives), projects (functional requirements), or architecture (non functional requirements). Business objectives are set at enterprise level and expressed in terms of generic business achievements, either qualitative (e.g people, regulations) or quantitative (e.g space, time or money). Contrary to requirements, business objectives are not directly associated to systems capabilities: they do not describe business rules (like domains) or symbolic flows (like users requirements), nor they address technical characteristics or quality of service. As a consequence they cannot be directly associated with acceptance tests. Domain requirements deal with the semantics and rules of business objects and processes. While they are usually expressed with functional system requirements, they should be managed on their own, independently of the way they are meant to be supported by system functionalities. Most importantly, domain requirements must fall unequivocally under the authority of a single owner and be organized around clearly identified business objects and processes. When that’s not possible they should be defined as business objectives (if not related to system capabilities) or as quality of service (if related to system capabilities). Functional users requirements deal with the part played by supporting systems. 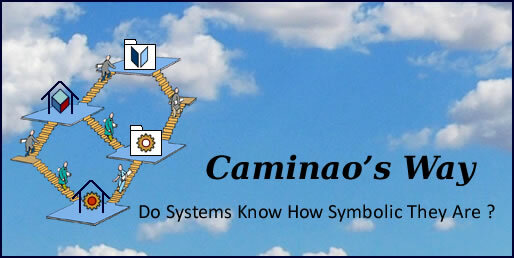 They describe the symbolic contents exchanged between software systems, devices, and agents. For that purpose they combine (1) the subset of domain requirements corresponding to the system footprint and (2) organizational structures, rules and procedures set at enterprise level. Domain and system Functional requirements are anchored to objects and processes identified within business contexts. Assuming that the semantics and usage of symbolic flows can be uniquely assigned to business domains, functional requirements should always be managed by a single authority, usually but not necessarily the one in charge of domain requirements. From a pragmatic point of view, requirements that cannot be anchored to objects or processes clearly identified within business contexts are usually regrouped under the label “Non functional”, or FURPS, for Functionality (confusingly…), Usability, Reliability, Performance, and Supportability. Quality of service requirements refer to supporting systems capabilities independently of functional contents. Technical requirements refer to the implementation of systems capabilities independently of their specific functional contents. It must be reminded that the classification is not about the intrinsic nature of requirements but about their management. As a consequence, the same kind of requirements (e.g costs) may appear separately as technical (development costs) and as a quality of service (cost of ownership). Non Functional Requirements deal with supporting systems without reference to domain specific contents. Balance resources / capacities: response time, volumes, etc. Level of service: availability, maintenance. Reliability: failures and recovery, fault tolerance. Interoperability, compatibility, compliance with regulations. Usability: ease-of-use, learning curve, documentation, customization. Persistent business components supporting shared access. Transient business components supporting shared access. Transient business components supporting single access. The nature of the resources to be used to implement the components. Components internal qualities: traceability, maintenance, reusability, etc. Components external qualities: portability, compliance with technical standards, etc. Practicality and accuracy, measured by the percentage of requirements that can be classified unequivocally. Effectiveness, measured by the percentage of unclassified requirements that can be reformulated and classified unequivocally. On a broader perspective, this taxonomy may be especially useful for cloud-based applications as it distinguishes “grounded” requirements from those to be supported by clouds. A simple case study is introduced to illustrate the approach. Sample requirements can also be proposed through comments. All the following requirements can be unequivocally classified using the table above, even if some answers remain undecided. The business of the emperor garage is to serve the palace vehicles as well as those belonging to the nobility. The Garage may repair vehicles from private customers if more than 20% of mechanics are unemployed for more than a week (f). The Garage may park vehicles from private customers if occupancy rate is less than 75% (k). The garage shall be able to serve at least 3 interventions a day (b). Interventions should be scheduled in the best interests of the high nobility (l). Interventions should give priority to officers from nomarchs and above (l). The position of service trucks shall be checked twice a day (a). A service truck shall get at the incident location no later than the day after a request for intervention is accepted (b). Requests for intervention are immediately recorded and dispatched (c). Mechanics are assigned on the basis of availability (d). Mechanics are assigned on the basis of skills as assessed by managers (d). Payment by hand-shakes are accepted (e). The Emperor Garage may repair vehicles from private customers if occupancy rate is less than 70% (f). Payment by hand-shakes are accepted up to 100 pounds (e). Technical documentation used by mechanics shall be retrieved in less than half a day (d). Details of intervention and time spent must be recorded immediately after completion (f). Intervention files shall be retrieved in less than five minutes (g). Customers shall acknowledge the state of their vehicle before checking out (h). Lifts shall be operated by voice and sign commands (i). Lift control units shall know the last stop of the lift and its direction if it is moving (j). Fences at floors shall remain locked until the lift is stopped and aligned (k). Fences at floors shall be made of oak (k). Oxen pulling service trucks shall be at least 4 standard cubits high (b). Fences at floors shall unlock themselves when the lift is stopped and aligned (k). Fences at floors shall lock themselves when the lift leaves its alignment (k). Repaired vehicles shall be retrieved two weeks at most after completion (h). Owners of repaired vehicles shall be informed within two days of completion (m). The status of vehicles in repair shall be established daily (f). The monthly turnover of the workforce processing the lift shall be less than 50 % (i). An interactive quiz with clues and tentative answers can be obtained by sending an email at caminao@gmail.com, with “EGR” as subject.